Mother's Day is this coming Sunday. 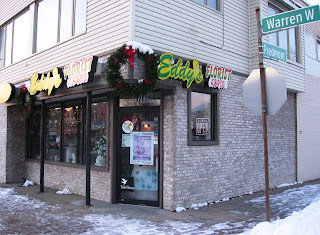 Rather than hit the suburban shopping malls for a gift, I recommend Eddy's Florist (19202 W. Warren). They have an abundance of gifts that any mother would love, all at a reasonable price. In honor of Mother's Day, I'm proud to name Edddy's Florist the Cool Warrendale Thing of the Week.